brctl_br0="setfd 0 sethello 0 stp off"
Checking for pre-existing cache in /var/cache/lxc/gentoo/amd64_amd64__rootfs...not found. Downloading gentoo portage (software database) snapshot...done. - writing LXC guest configuration...done. - setting guest root password..done. Note that container startup will show some errors, these do not matter. 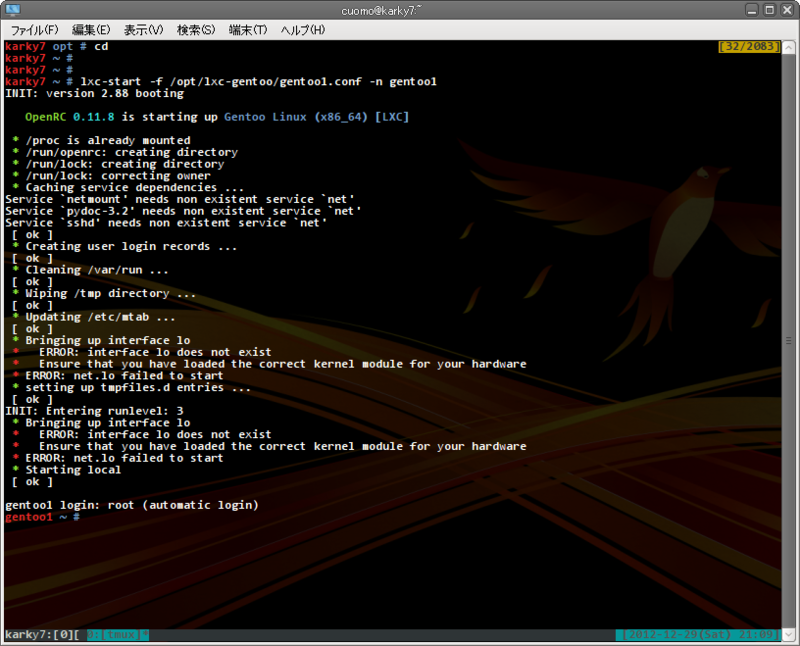 ... or, start it elsewhere and use lxc-console -n gentoo1 to get a shell.